Very Good. My Life: The Early Years: Volume I: The Early Years by Clinton, President Bill. Mass market (rack) paperback. Glued binding. 656 p. Contains: Illustrations. Good. 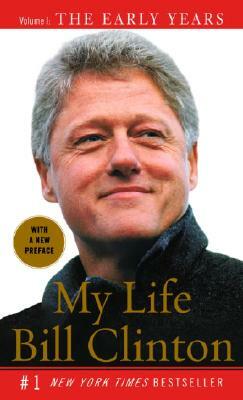 My Life: The Early Years: Volume I: The Early Years by Clinton, President Bill, 2005-05-31. Mass market (rack) paperback. Glued binding. 656 p. Contains: Illustrations. Fair. 2005-05-31. Vintage Books. Reprint. Paperback. Book: ACCEPTABLE. 656pp..